The Sunflower Multiple Intelligence Approach. 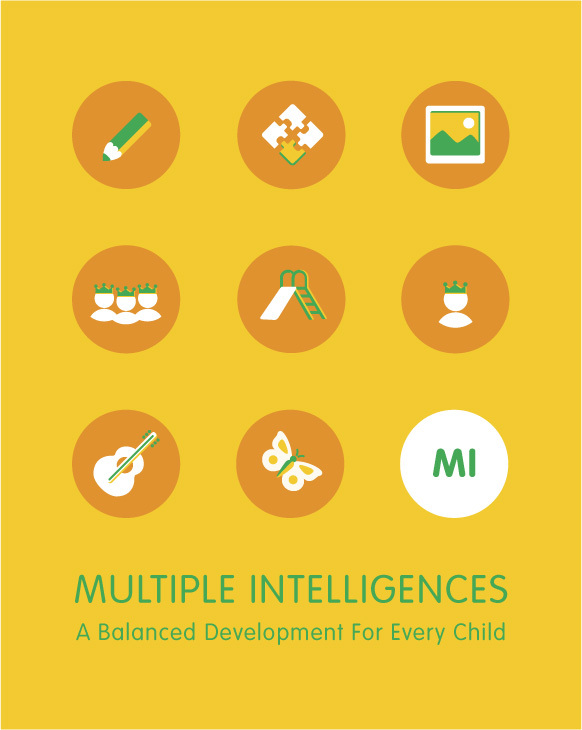 Conceived in 1983 by Dr Howard Gardner, professor of education at Harvard University, the Multiple Intelligences are eight different ways to demonstrate intellectual ability. It suggests that the traditional notion of intelligence, based on I.Q. testing, is far too limited. Instead, Dr. Gardner proposes eight different intelligences to account for a broader range of human potential in children and adults. We believe that there are 8 intelligence in all of us (in each child). These intelligence (skills) help us acquire the knowledge around us. However, each of us have different combination of profile. In Sunflower, we aim to develop all 8 intelligences of the children. This way, children are empowered to make the most of their learning potential in school and in life. We will help all children to grasp the concept of "multiple intelligence" (MI) in a simple and down-to-earth form and that is to identify the 8 ways of being "smart". Designed to develop the eight Multiple Intelligences. Our curriculum provides hundreds of ways to develop all eight kinds of "smarts", and offers tips and resources for making the most of one's strongest intelligences and strengthening the others. Through the various types of play, we promote interaction and communication amongst children and their teachers. 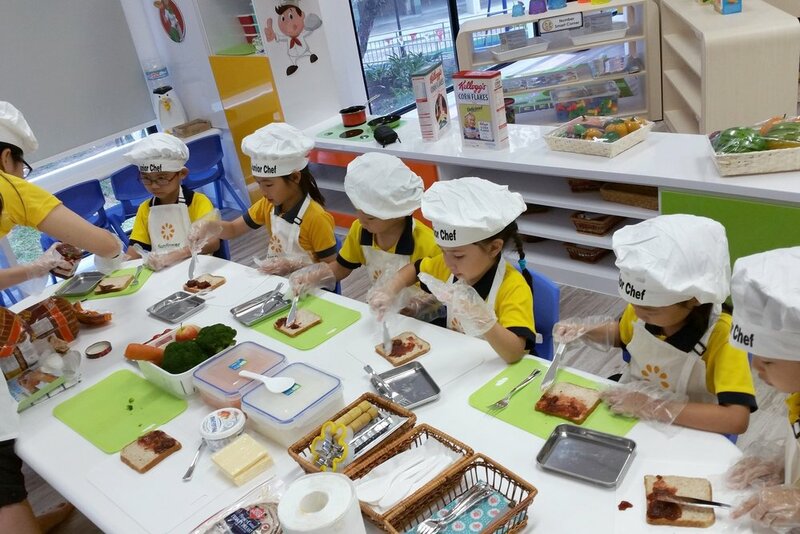 Our specifically designed activity programmes and curricula for each age group ensure that there is a balanced range of fun and educational elements suited to the development of each child. Thus, it is not difficult to see that our entire programme is geared towards promoting the development of the whole child in the following areas: PHYSICAL, INTELLECTUAL, LANGUAGE, EMOTIONAL and SOCIAL. At Sunflower we recognize the importance of providing children with the best standards of age-appropriate education. Staff training and curriculum reviews are conducted regularly to ensure that we maintain a high standard. Continual monitoring and improving the curriculum ensures that we are offer an increasing range of activities and experiences, which enable us to meet the individual needs of each Sunflowerkid.